Newland Homes has been granted permission for 50 houses in Collin Lane in Willersey - scroll down below. 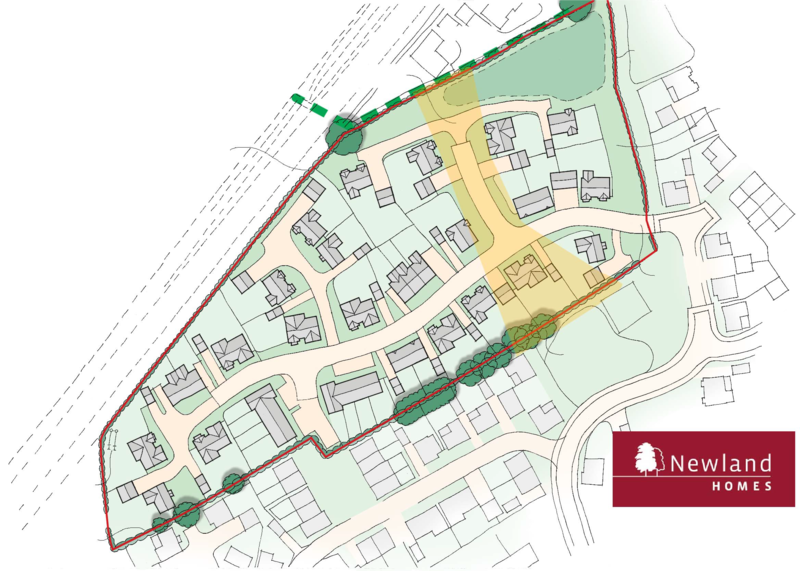 It has now submitted an Outline Application for a further 40 houses on an adjacent site. Outline Applcation for 40 more houses in Collin Lane. Following the Willersey Parish Council meeting on 20th December the above application was discussed in a full and frank manner, and in consultation with Cllr Lynden Stowe, who attended the meeting. It was unanimously resolved that the clerk should record a strong objection to the planning application. Reference will be made to the public meetings on the matter of further development in Willersey, which recorded an overwhelming decision that Willersey had now taken on enough development and was not able to take any more. The timescale was not able to assimilate all growth which amounted to 30% within a 2-3 year period. Our infrastructure is totally unsuitable for any more development. The problem of a compromised access to the village was also discussed at length. It was resolved that the intention of Willersey Parish Council would be to apply for a reconstruction of the bridge along Collin Lane to assist with both traffic calming as well as the safety concerns the Parish Council has raised with both Sustrans and Cotswold District Council. Reference: 17/04765/OUT Address Moore Land Collin Lane Willersey Broadway WR12 7PE. Here are the full details of the Reserved Matters from Newland Homes for their original 50 houses development off Collin Lane in Willersey. (Some of these files are quite large so be patient as they load.) Some house types have more than one file. Here is the Newland Homes website.